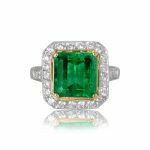 A lively Emerald engagement ring that centers an rare 0.93 carat natural Colombian emerald with excellent hue, saturation, and clarity. 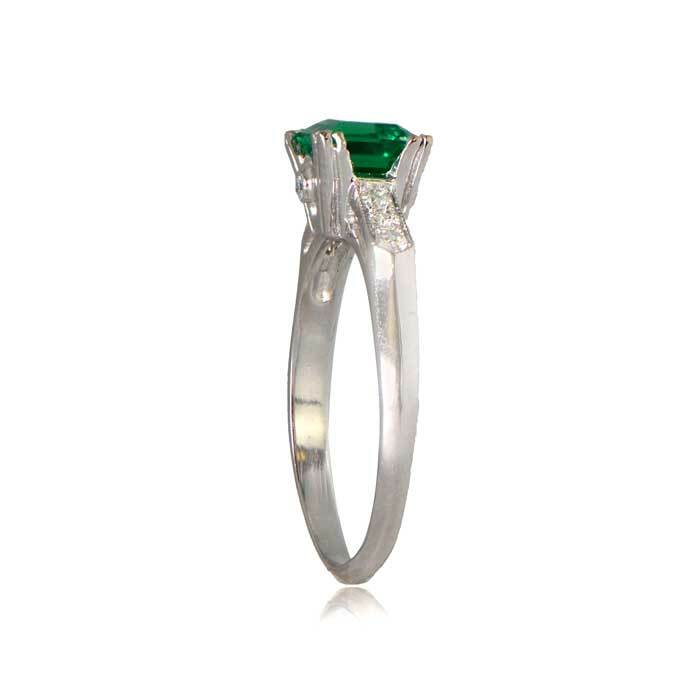 The center stone is set in a platinum solitaire mounting with three diamonds on each shoulder. 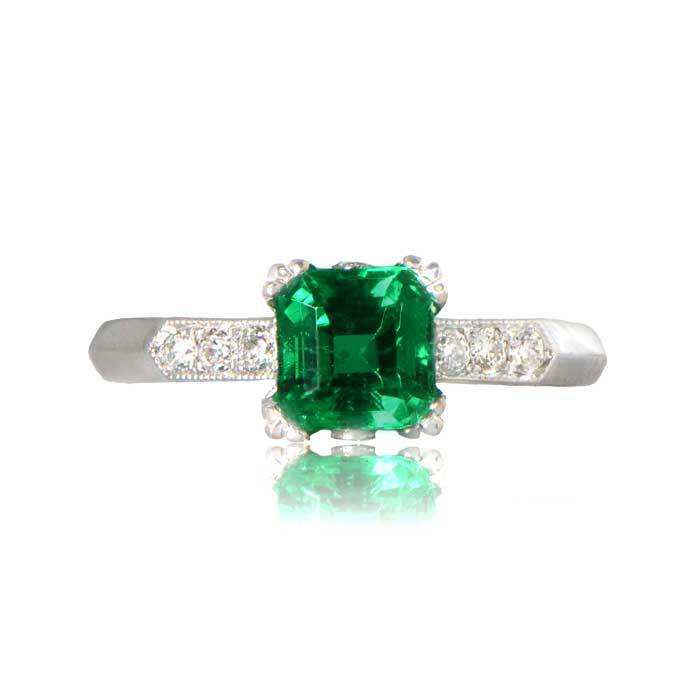 The center Emerald is certified by the American Gemological Laboratory (AGL) as very high quality. 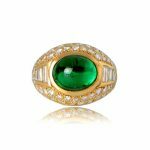 A copy is available upon request. 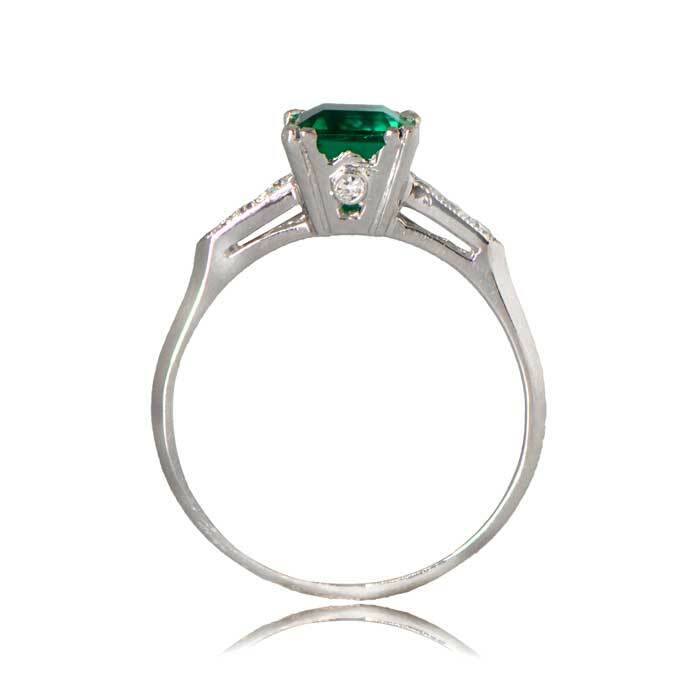 SKU: NYC105 Categories: Emerald Engagement Rings, Vintage Engagement Rings - Contact us and request additional pictures.